I actually managed to find time to make something for myself! I needed a case for my NOOK and after looking at the sad and overpriced selection at the store I decided I needed to make my own. After taking a leather workshop at school last year I have been collecting bits of interesting leather and vinyl from the thrift store, ebay and Tandy. The sewing was tricky and it turned out a little too big but overall it works well and I like it. It’s also easy to find in the bottom of my bag. 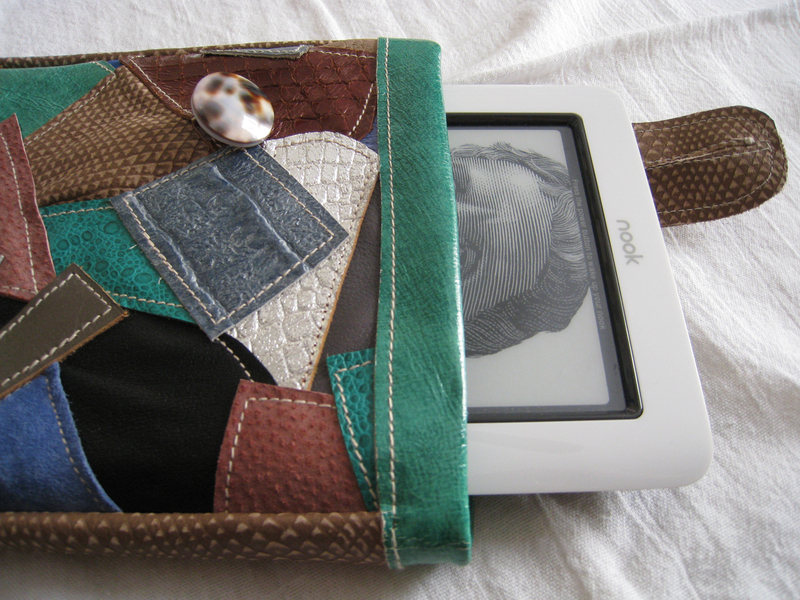 You did such a good job on the e reader case. Very nice!